Examples of good communications that develop game understanding and skill are seen with elite football coaches such as Jose Mourinho and Pep Guardiola. Their messages are directly linked to how they want their teams to play, hence the importance of having a coaching vocabulary that players can understand. 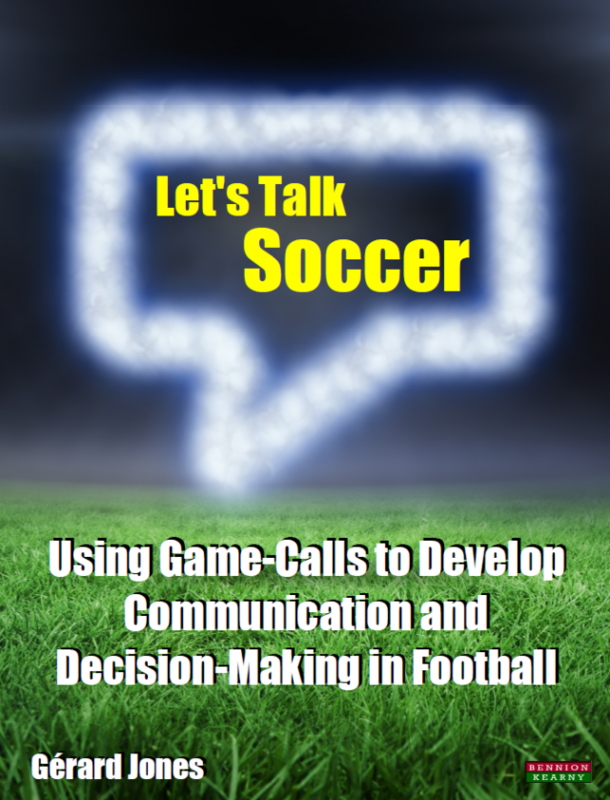 Let’s Talk Soccer introduces ‘Game-calls’, game-specific communication designed to enhance decision making and skill among players. Through Game-calls your team will become more organized, and your players will understand – as individuals – how to play within your playing philosophy. About this Book Let’s Talk Soccer is a practical resource on how to develop communication in game-realistic practices that will increase creativity and skill across all ages. This book is based on tried and tested methods, offering you a framework using ‘keywords’ directly linked to your playing style. The book will help you develop a clear coaching language such that, when used in training and in games, your players will instantly understand what you mean and can consolidate their learning. Who is this book for? Let’s Talk Soccer is for professional and amateur soccer coaches across all levels of the game who are interested in improving how they communicate with their players, and how their players communicate and perform on the pitch. Gérard Jones is a former Director of Coaching with Arsenal Soccer Schools, former Reserve Team Coach at Bradford City AFC, and current Head of Academy Coaching at Bristol Rovers. Gérard brings together his experience of high level communication using game-calls to enhance decision making and skill among players through individualized learning programmes which you can use with your teams. Gérard holds a Master’s degree in Performance Coaching, is a Qualified Teacher, and holds both the FA UEFA “A” licence and FA Advanced Youth Award. He is also an award-winning entrepreneur having grown his own soccer coaching business into becoming recognised among the Top 100 Best Business Start-ups in the UK.